Gold silver Updates:- In The international markets, gold and silver buying trend in the domestic market has bolstered the move. Gold on Comex have jumped near to 2 percent, while silver has crossed more than 2 percent. By the support of international market boty precious metals is trading gain in the domestic market today. Currently, up 0.9 per cent on MCX gold is trading at Rs 26 245. With 0.31 per cent silver is trading at Rs 43800. Energy Updates:- Crude on NYAMX has rose near to 0.7 percent & trading rate is 88.13 dollar. With the support of NYMAX Crude also has exceeded 0.11 percent at Rs 4815. Metals Updates:- MCX base metals are looking sluggish. Copper is 0.5 per cent, to Rs 373. Nickel is also grossly business. Lead seems too flat. Zinc and Aluminum is looking a little more edge. @ Buy MCX Gold June above 26220 Targets 26267 Stop Loss 26173. @ Buy MCX Silver may above 43750 targets 43850 stop loss 43650. 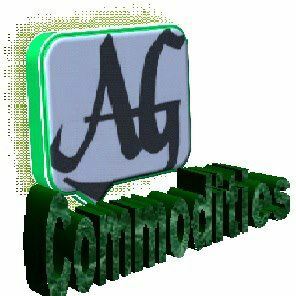 @ Buy MCX Copper April above 374 targets 375.5 , 377 Stop Loss 371. Commodity updates and Commodity trading tips help traders to make good profit in stock market. Traders should need to get best commodity trading tips by market expert to play well in commodity market. your blog contains very nice and essential information about stock market. see much more on this subject in the foreseeable future!